On the path to dispelling 3D woes? An academic study into stereoscopic (bespectacled) 3D at the University of California, Berkeley, has pinpointed the cause of the headaches and eye fatigues often caused by three dimensional viewing. The study found that the root of the problem is that our eyes are trying to focus on the screen as well as focusing on virtual images that appear to be in front of or behind the screen. The researchers found that when their 24 participants viewed 3D displays at short distances (using monitors, TVs and smartphones), the images that float in front of the screen were causing the issues. But the opposite was true when viewing at longer distances (like in the cinema) – in these cases, it was the content that was further away that caused the discomfort. Martin S. Banks, professor of optometry and vision science, who lead the research, commented, "When watching stereo 3D displays, the eyes must focus - that is, accommodate - to the distance of the screen because that's where the light comes from. "At the same time, the eyes must converge to the distance of the stereo content, which may be in front of or behind the screen." It's the same issue that was already highlighted by Oscar-winning film editor Walter Murch, who pointed out that, "3D films require us to focus at one distance and converge at another. And 600 million years of evolution has never presented this problem before." While the study doesn't present a solution to 3D fatigue, it could prompt future studies and investment in this area of research as 3D becomes more widespread. 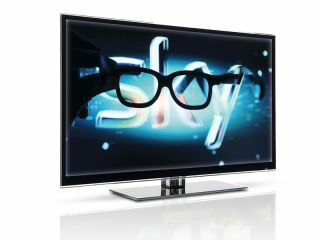 "Discomfort associated with viewing Stereo 3D is a major problem that may limit the use of technology," concluded Banks. "This is an area of research where basic science meets application and we hope that the science can proceed quickly enough to keep up with the increasingly widespread use of the technology."